Get fit and have fun doing it! Our dance fitness classes are designed to work out your mid-section & back muscles, while strengthening the core section of your body. This helps improve overall balance and coordination. 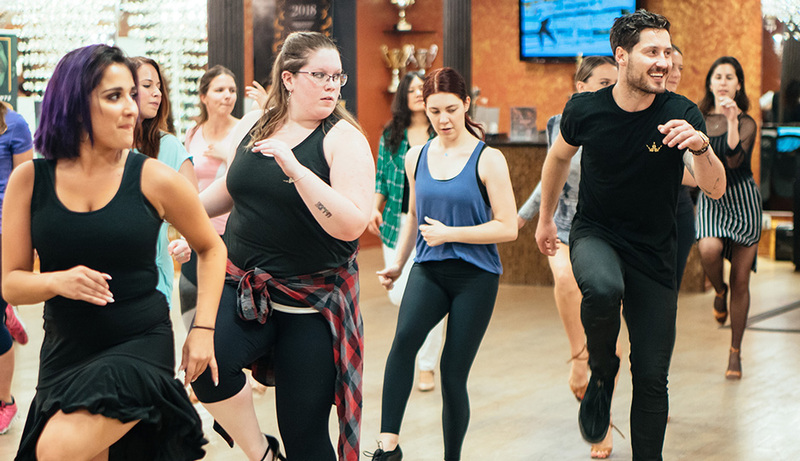 It combines salsa and aerobic movements to ensure that you burn fat away with the fun Latin dance movements of Mambo, Salsa, Merengue and Bachata. 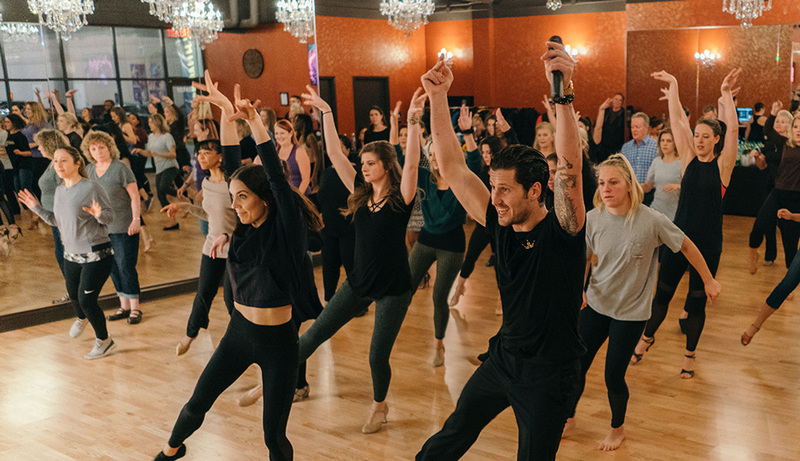 Dance fitness will help you burn calories, build stamina and tone your muscles with Cha Cha, Salsa, Samba and Jive dance movements. The idea is to fuse hypnotic Latin rhythms and easy-to-follow moves in one exciting hour of calorie-burning, body-energizing movements. The routines feature interval training sessions where fast and slow rhythms and resistance training are combined to tone and sculpt your body while burning fat. AND dancing helps target your arms, glutes, legs, as well as other parts of the body not generally worked out, without putting pressure on your joints. Select one of our dance studios to see your local group class schedule. Or contact us for a custom group class for you and your friends, family, or coworkers.